In addition to a high quality of life and its excellent year-round climate, the Costa Blanca has so much more to offer. If we apply these qualities to sport, and focus on the area’s unique landscape, we can see that it is an ideal area for taking part in all types of cycling. The Costa Blanca is recognised internationally as a cycling paradise. Throughout the month of February there will be two prestigious races held: the first is the Costa Blanca Bike Race, a mountain bike race; and the second is the Volta a la Comunitat Valenciana, a road cycling race, which this year has one stage in Orihuela and another in Alicante. Both races always have a great number of participants: from Olympic medallists like Carlos Coloma to the current Tour de France champion, Geraint Thomas. 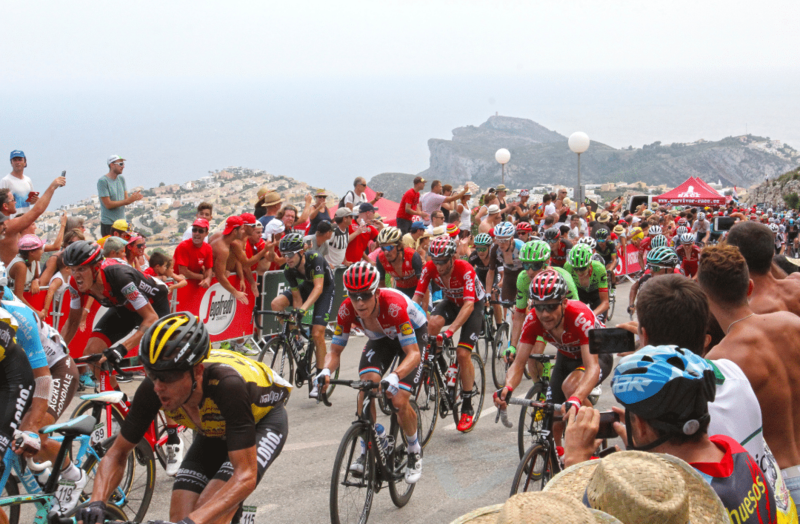 Even the Vuelta a España chose the province of Alicante as the setting for its 2016 edition, with a demanding mountain stage which began… in Benidorm! This stage came to an end at the Alto de Aitana mountain peak after passing through Tudons and Coll de Rates, two unmissable climbs for cycling fans visiting the Costa Blanca. Spain’s most important race will be returning to the area this year and in the second stage the cyclists will pedal through Cumbre del Sol to climb the Alto del Puig Llorença. The options available in the area, along with the good climate, mean that it is popular with fans of the sport throughout the year. However, it’s not just cycling fans who spend time here – professional cycling teams also visit the Alicante mountains in December, January and February to get ready for the season’s most demanding challenges. However, the Costa Blanca terrain offers options for everyone and on the official website you can find 31 routes which are adapted for all levels and types. Have you decided which one you would like to try? Choose the one that most interests you…and get pedalling!